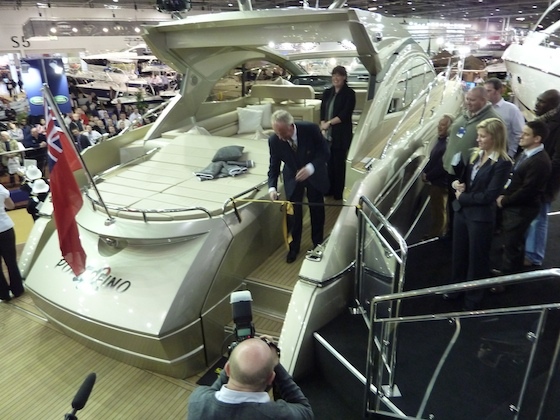 The 2015 Sunseeker Predator 57 proved to be a highlight at the London Boat Show. 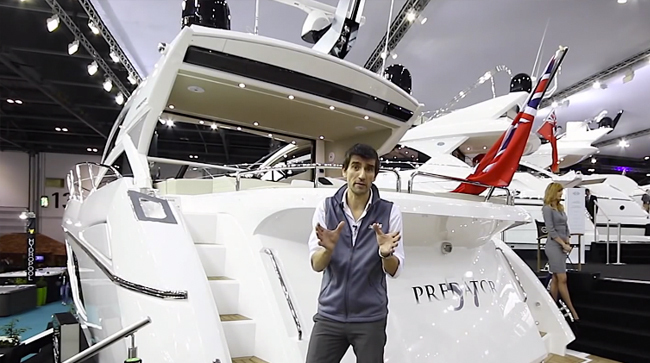 The London Boat Show had plenty to see, but it was the Sunseeker Predator 57 that grabbed the eye of reviewer Alex Smith. Though this is the smallest Predator, and it almost seems diminutive in a model line where the significantly larger Predator 68 is merely mid-sized, the 57 is undoubtedly also one of the most interesting of the group. Check it out, and you'll quickly see why. Did you catch that incredible entry, at 0:40? We've never seen a door/bulkhead arrangement quite like this before, and as Alex pointed out, it's one of the best ways we've seen yet to blend the cockpit and cabin into one seamless entertainment area. It's also a pretty radical departure from what we've seen on past Predator models. 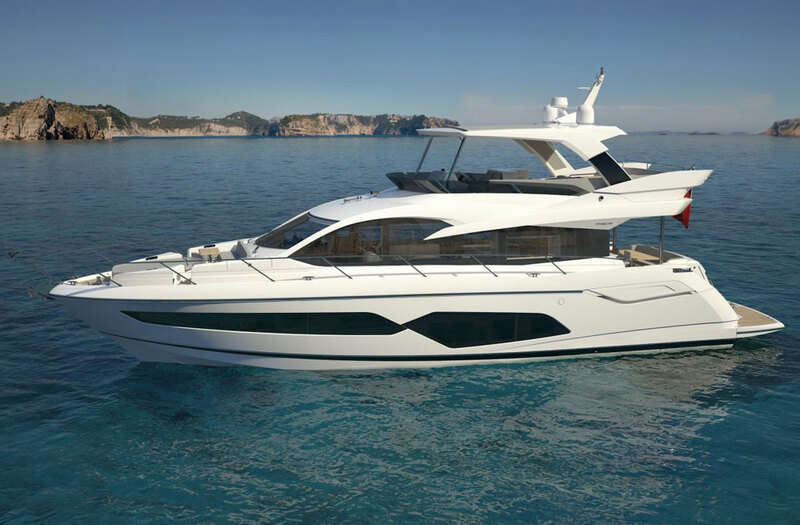 But perhaps this shouldn't be a surprise; just last year we saw major changes in their flybridge line-up when the Manhattan 65 was introduced, and the same was true when they introduced the semi-custom 101 Sport Yacht. Some things, however, don't change one bit. Most importantly, the emphasis on performance. 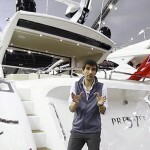 Alex noted the 57's 40-knot top-end, which Sunseeker ensures with a pair of Volvo Penta IPS pod drives. 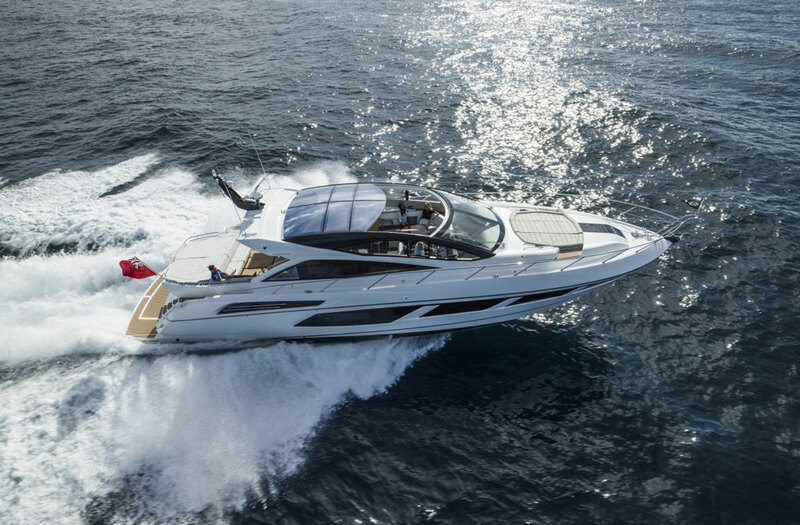 With standard power the boat still hits about 32 knots, and cruises in the mid-20's. 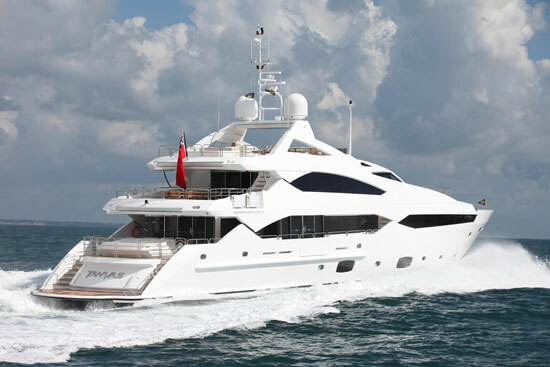 Those are pretty stellar figures, for a 30-ton motor yacht. 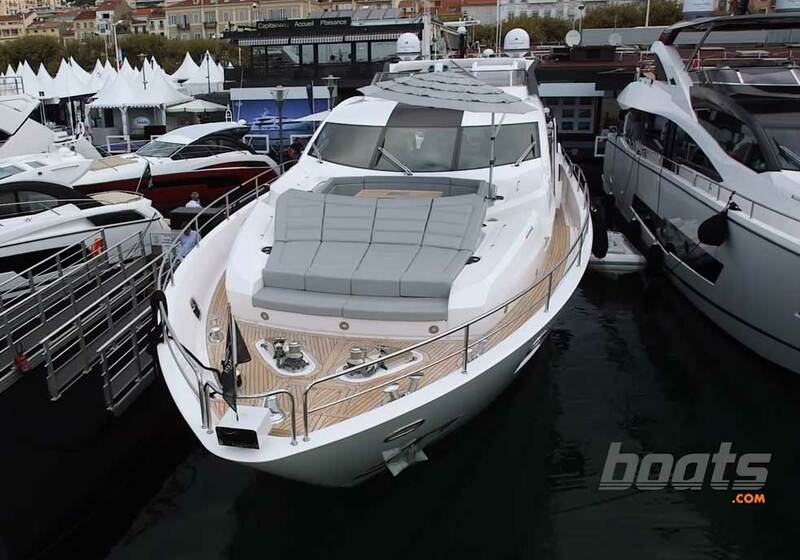 Another unusual feature on the Predator 57 is the aft cabin. Sure, there's a roomy stateroom forward of the powerplants, but there's also a far aft cabin behind them. With a single berth and a head this could serve as a crew quarters, a kid's stateroom, or, if you don't need it, the area can be utilized as a tender garage. Either way this is space re-claimed thanks to the use of those pods, which open up some volume that used to be dedicated to mechanicals. 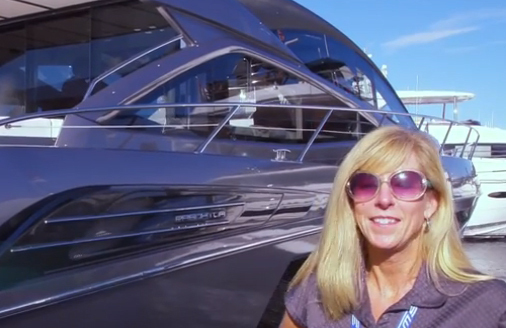 If you're shopping for a sport yacht with solid performance, excellent entertaining, and a unique twist or two, the Predator 57 is definitely one you'll want to check out. 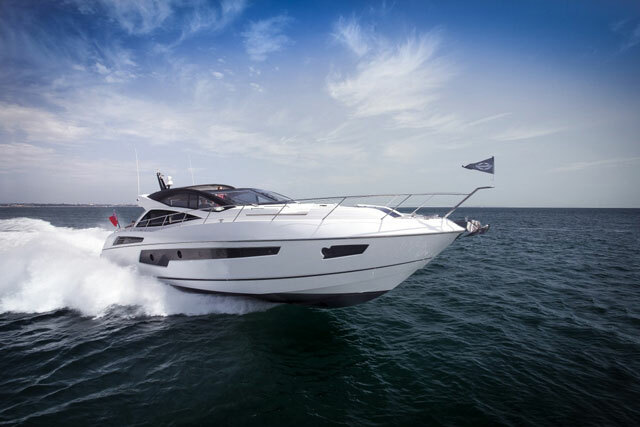 You can learn more by visiting Sunseeker. You want more options? 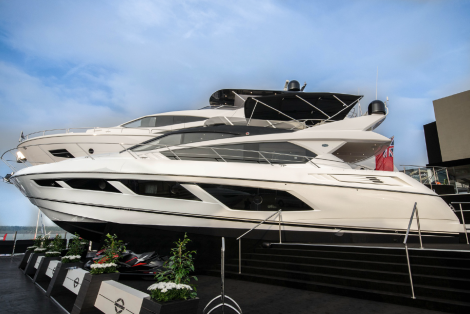 Take a look at these listings for Sunseeker Predators.